Cloaks Deande and deploys a decoy to fight in her stead for a short time. Upon death or expiry, the decoy explodes dealing damage. 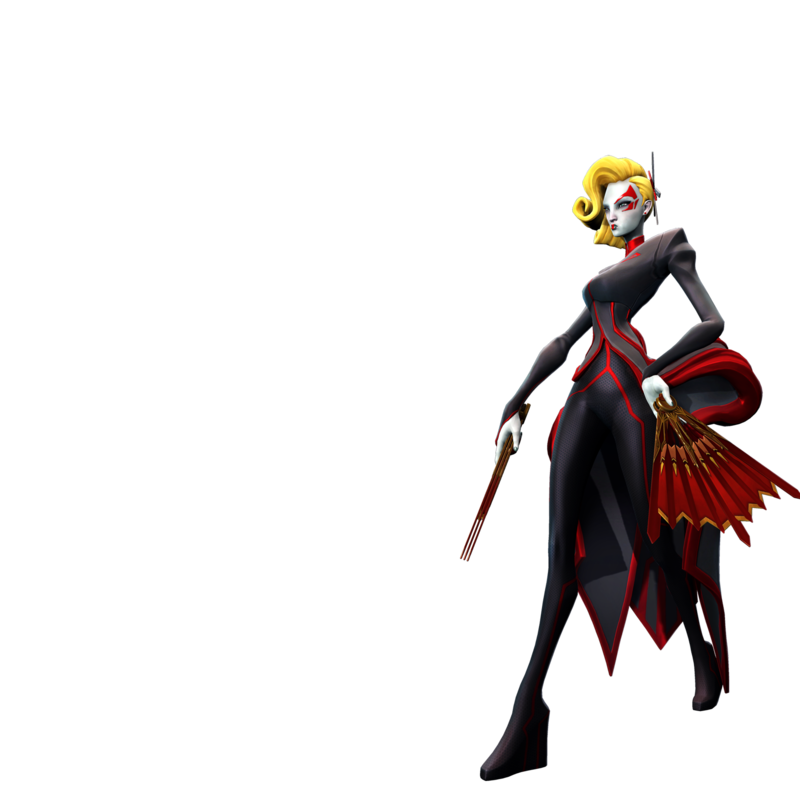 Deande charges forward, dealing damage and pushing back enemies. Hit enemies are weakened, lowering their attack damage. Upon activation, Deande unleashes a flurry of strikes directly ahead of her, stunning enemies and dealing damage per each hit. 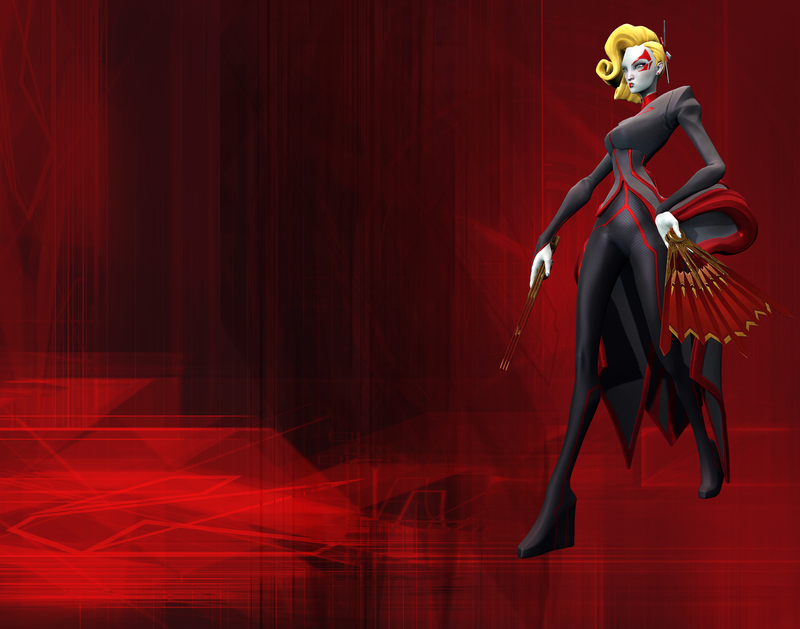 For a short time after uncloaking, all of Deande’s skills and attacks deal additional damage. Deande’s primary melee combo strings a series of rapid melee strikes, while her secondary attack hurls her fans at foes for ranged damage. When activating Holotwin, Deande dashes in the direction in which she is currently moving. Increases Holotwin’s dash distance. Increases thrown War Fans’ damage. For 3 seconds after uncloaking, Deande’s attacks slow enemies for a brief time. Increases War Fans’ melee damage. Increases Burst Dash’s damage distance. Reduces Holotwin’s cooldown timer, allowing more frequent use. A portion of damage dealt by all War Fan attacks is returned to Deande as health. Half of the damage dealt by Burst Dash is returned to Deande as health. For 3 seconds after uncloaking, Deande’s melee strikes to an opponent’s back deal additional damage. Activating Holotwin increases Deande’s movement speed for a brief time. Increases Deande’s damage against weakened opponents. Reduces Burst Dash’s cooldown timer. Increases the lifetime of Deande’s Holotwin decoy. Killing a minor enemy with Blink Storm refunds the skill’s cooldown.